Black Friday Offer: FREE World-Wide Shipping from Sigma! Tomorrow is Black Friday, one of the biggest shopping days of the year in the USA! I thought I would let you know that Sigma is offering a special deal for one day only - they are offering FREE standard WORLDWIDE shipping! International shipping from the USA to UK can be quite pricey, so it's a perfect time to save money and order your Christmas gifts or presents to yourself ;) especially as the dollar to pound rate is pretty good at the moment! 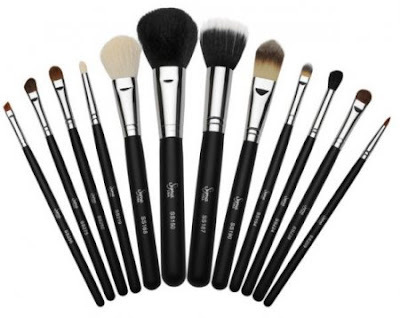 I would definitely recommend Sigma Brushes they are excellent quality and I much prefer them to my more expensive M.A.C brushes! The offer is valid from 9:00 am to 5:00 pm Central Standard Time (CST) on Friday November 25th 2011 only. To take advantage of FREE shipping visit the Sigma Site and enter the code "BF2011" at the checkout. Will you be taking advantage? I am definitely going to be ordering one of the lovely brush sets that I have been wanting for some time. Let me know what Sigma brushes you order!